This July, Frenchman Bay Conservancy surpassed $2 million in fundraising for its Tidal Falls Preserve Capital Campaign! Located in Hancock, Tidal Falls Preserve is a beloved open space known for a reversing falls and its popularity for picnicking, entertaining, or watching wildlife. We’re hosting a free public groundbreaking event on August 20 before the preserve will be closed to the public for restoration and construction from August 21 to early 2019. Since Frenchman Bay Conservancy acquired the Tidal Falls property in 2001, the preserve has been open to the public year-round and home to FBC’s offices. With a large picnic area and views of the reversing falls, the preserve attracts thousands of locals and visitors every year for free live music and other public events. 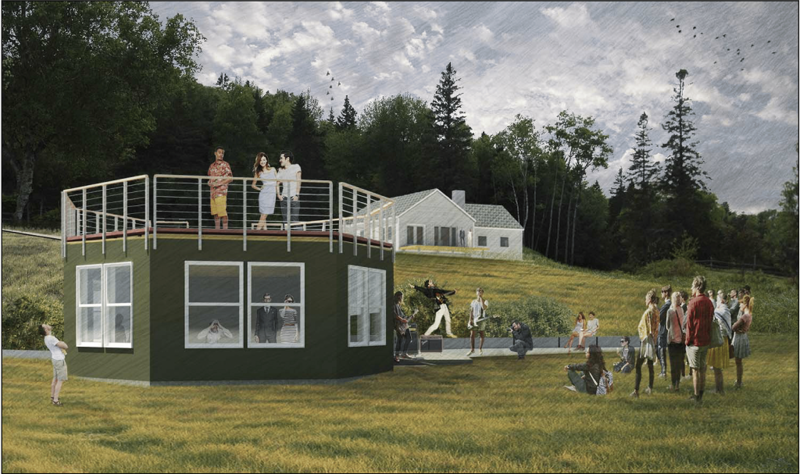 As Frenchman Bay Conservancy’s flagship preserve, Tidal Falls has been at the center of a multi-year campaign to raise funds to restore the shoreline, build a new pavilion, and create a new visitor education space on the preserve. The new public space, called the Exploration Center, opened in June and is encouraging visitors to learn more about local history and wildlife and discover the 8,000 acres of conserved land and 25 miles of public hiking trails protected by Frenchman Bay Conservancy. 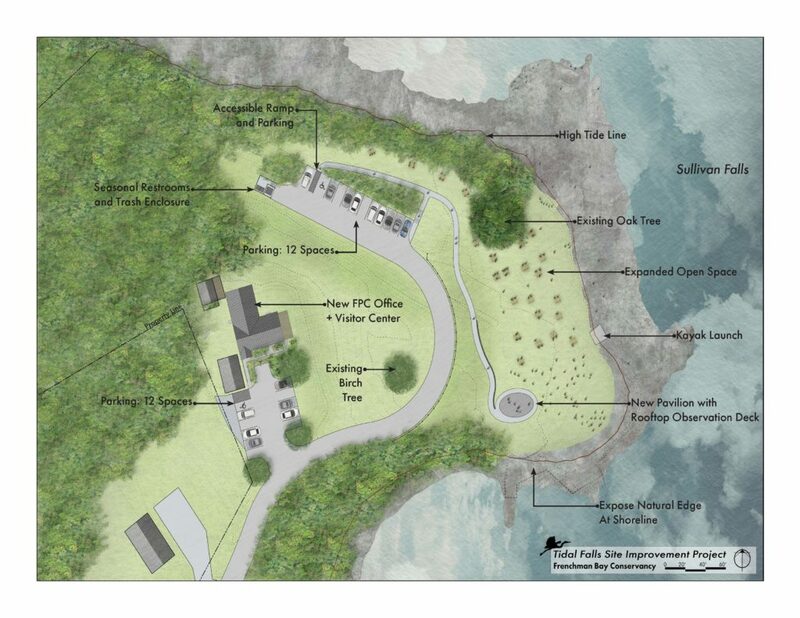 The site plan for the revitalized Tidal Falls Preserve. At 5:00pm on Monday, August 20, Frenchman Bay Conservancy is hosting a free public groundbreaking event at Tidal Falls, rain or shine. The groundbreaking event will feature free live music by The Crown Vics, refreshments, and a chance to view the plans to create more open space and construct the pavilion with a 360-degree observation deck. Construction will begin on August 21, closing the lower preserve including the shoreline, until completion and a public re-opening in early 2019.